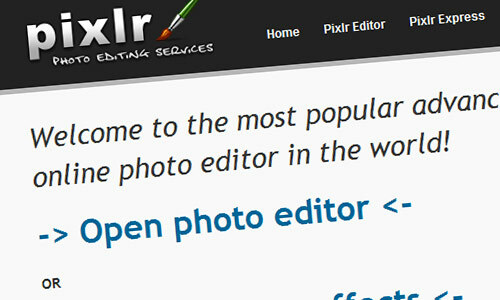 Pixlr is FREE online image editor that is simple and easy to use for the beginner. When I started to use the Pixlr , I used the File menu to open an image file from my desktop so easily! There are some tools, such as marquee, wand, brush and others in the Pixlr , all tools looks like Adobe Photoshop CS3! It is very easy to cut, copy and paste your images, with Ctrl +X (cut), Ctrl + C (copy), Ctrl + V (paste) and if you make a mistake, you can use the “Undo” with click on the "Edit->Undo" menu item or press the keyboard shortcut, Ctrl + Z. So, Pixlr provided good keyboard shortcuts if you want! It also have different language for you all can understand so easily when you come to use the Pixlr. Don't worry about the fonts of Text is not in the Pixlr because your computer or laptop also have different font of text, so you can choose your own font when you select "Text" tool. When you want your image be saved in the different file, such as jpeg, png, bmp, tiff, and pxd format only. More features is good if you used to save in the social media online; Facebook, Flickr and Picasa! I felt that Pixlr is very great so, I sure suggest you to use the Pixlr - http://pixlr.com/editor/ if you want to edit your photo become better!